de la Iglesia, Martin. 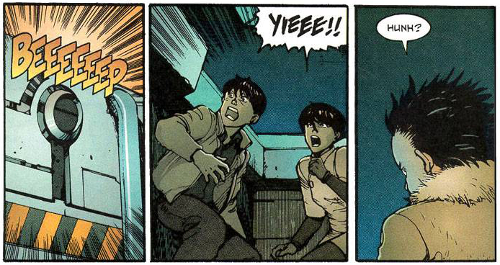 “Akira im Westen.” In Comics. Übersetzungen und Adaptionen, edited by Nathalie Mälzer, 355-373. Berlin: Frank & Timme, 2015. 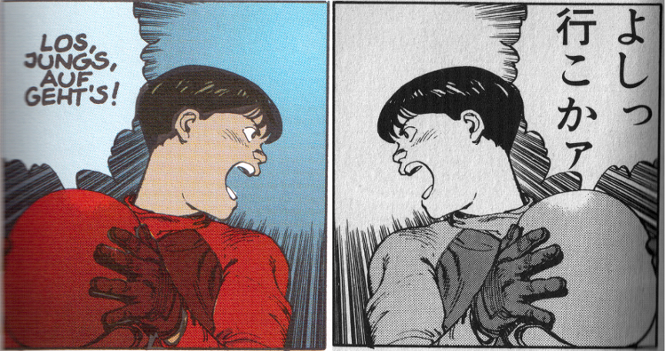 I’m looking forward to present some more preliminary results from my PhD research, more precisely on Katsuhiro Ōtomo’s manga Akira and its first English and German editions, at a conference on “Übersetzungen und Adaptionen von Comics / The Translation and Adaptation of Comics” at Hildesheim University, Germany, from October 31 – November 2, 2014. Information on where to read this paper to follow. That paper is now online at the Comics Forum website: http://comicsforum.org/2014/07/14/early-manga-translations-in-the-west-underground-cult-or-mainstream-failure-by-martin-de-la-iglesia/. If you always wanted to know what my PhD research is about, this is the place to go. It wasn’t until about a year ago that the relevance of Katsuhiro Ōtomo’s manga masterpiece Akira for my PhD thesis dawned on me. At first I had thought I’d focus on earlier titles. When I realised I should concentrate my research on Akira instead, I started buying used copies of volumes from the first English-language edition (Epic Comics 1988-1995). In contrast to the current six-volume edition, the Epic edition consists of 38 issues. Since last week, with the arrival of #25 in my mailbox, my collection is now complete. Some issues came already bagged and boarded. Usually they’re stored upright in my longbox. My sources were Ebay (.de), Amazon (.com) Marketplace, and the online comic shop Sammlerecke (.de). Overall, I ordered my Akira copies from 7 or 8 different sellers. The downside of this approach, as opposed to buying all 38 issues as a set from one seller, was that the shipping costs (particularly from the US to Germany) quickly added up and turned out to be higher than the price for the actual comics. 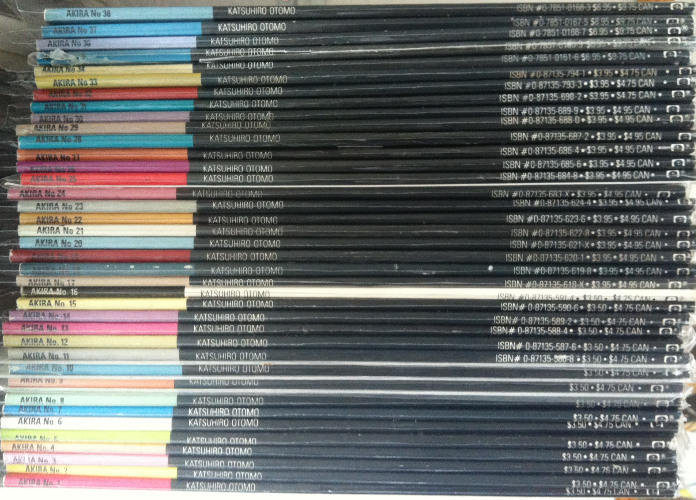 Plus, it takes a long time to find all issues and then to have them shipped. The advantage of splitting the purchases is that you can select the best offers for each issue (or batch of issues), so that the average cost per issue (not including shipping) is very low. After some time I was even able to find the final issue at a reasonable price. For some reason, #38 seems to be rarer than the others and is otherwise offered only for three-figure sums. The aforementioned #25 turned out to be the most expensive issue instead, because it was the last one I was still lacking and thus it couldn’t be shipped together with other items from the same seller, so I ended up paying $5 for the comic itself and $15 for postage.